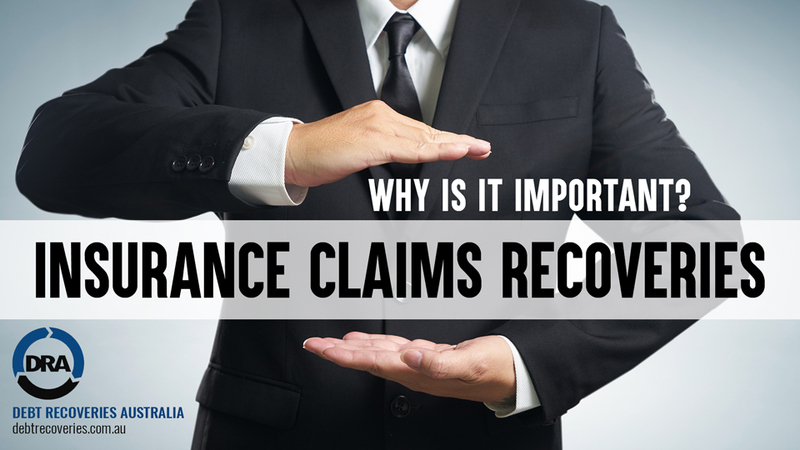 Insurance Claims Recoveries - Why is it Important? Insurance Claims Recoveries – Why is it Important? Insurance claims recoveries, in this instance, refer to claiming back the cost of repairs for the insured’s loss from the at-fault party. Insurance claims recoveries seem to be the very last process completed in the insurance claims process, however, I believe it should be the first. In the never-ending quest to keep the insured and other parties happy, we process the claims and settle the cost of repairs. However, the job of actually recovering the incurred loss is often forgotten about until it’s too late or completely overlooked. I believe Claims Managers should act immediately on a possible recovery in order to get the highest recovery rate. For “not-at-fault” claims where there is a third party involved, or for any claim where there may be a right of recovery against a party who may have caused damage, these matters should be actioned immediately. One way to act fast on a recovery is to outsource the case to a reputable insurance claims recovery agency, such as Debt Recoveries Australia, as soon as the recovery is identified. This way, the professional agency can conduct the recovery immediately, awaiting quantum documents. The documents you should send are the claim form, quotes, assessments, invoice, third party details, insurance details, witnesses contact details and any versions of events. Ultimately, if you can give your recovery agent access to your claims system, you will save a lot of time and productivity. The recovery process is then a “set and forget” type of approach, where as soon as you have identified a recovery, it’s outsourced to a professional, leaving your claims team to do what they do best – to serve the insured and the broker. If you prefer to handle your insurance claims recoveries in-house, ask yourself, what resources do you have for this? Do you have in-house counsel that specialises in insurance claims recoveries? Do you have staff knowledgeable in skip tracing (finding missing people that owe debts)? Is your staff able to effectively negotiate payment from an uninsured third-party? These are the questions you must ask yourself if you decide to in-source your recoveries. Claims officers who attempt their own claims recoveries will also need to be mindful not breach the ACCC Debt Collection Guidelines, the Insurance Code of Practice Guidelines (third-party recoveries) and the Australian Securities and Investments Commission (ASIC) Debt Collection Guidelines. This could mean damage to the brand and reputation, if not handled correctly. Here at Debt Recoveries Australia and ADC Legal, most of our staff and legal practitioners are from an insurance claims or broking background. Our passion is insurance claims recoveries. We live and breathe it every day. Need help? Send to Us.